ELKHART LAKE, Wisconsin – What’s always a highly-anticipated event, automotive manufacturers and journalists will soon descend on one of America’s most famous race tracks, Road America, for the 15th annual MAMA Spring Rally. What’s always a highly-anticipated event, automotive manufacturers and journalists will soon descend on one of America’s most famous race tracks, Road America, for the 15th annual MAMA Spring Rally. The two-day event will kick off with hot laps in some of the hottest vehicles as well as scenic on-road driving on Elkhart Lake’s winding roads. The second day will consist of Autocross (avoid the cones to score the best time) and off-roading on three modest-to-challenging courses. Additionally, rally-goers will be able to test-drive the MAMA Family Vehicle of the Year nominees; the award will be presented to the manufacturer at the 2017 Chicago Auto Show. Registration is now closed. For those attending, please ensure to fill out your digital waivers. Also, remember to tag social media posts with #MAMA16SR. OAKBROOK TERRACE, Illinois –Buick Vice President of Marketing Tony DiSalle spotlighted the all-new Buick Cascada during the Midwest Automotive Media Association (MAMA) monthly meeting. The Cascada is one of four new vehicles that Buick recently introduced or will unveil this year. Sharing showroom space with the Encore, Envision and Enclave, the Cascada enters a “white space” in the compact coupe convertible market. 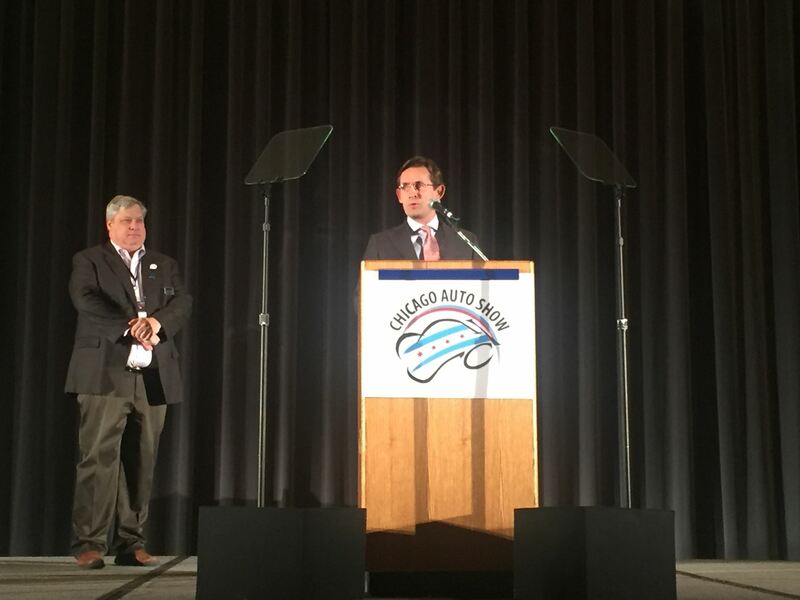 CHICAGO, Illinois – The Midwest Automotive Media Association announced today that the 2016 Volvo XC90 has been named the winner of its sixth annual Family Vehicle of the Year award. The Midwest Automotive Media Association (MAMA), a nonprofit group of automotive journalists and public relations professionals, developed the award to help the consumer make a wise buy when it’s time to shop for a family vehicle. “Choosing a family vehicle is an important decision. It should be versatile, reliable, efficient, and reasonably priced. MAMA members pooled their expertise and experience to select the best family vehicle from an excellent group of new and notably refreshed models, and the Volvo XC90 ended up at the top,” said award coordinator Damon Bell. To qualify for the award, vehicles had to have four doors, start at less than $50,000, appear at one of MAMA’s two annual rallies, and be new or significantly updated within a year of the 2015 Spring Rally, which took place last May. The MAMA Spring and Fall rallies feature roughly 100 manufacturer vehicles for journalists to drive and evaluate. Founded in 1991, the Midwest Automotive Media Association is comprised of more than 200 automotive journalists and public relations professionals. Though based in the Chicago area, MAMA welcomes members from all parts of the country. The organization’s primary purpose is to provide a forum for newsworthy people, major issues, and new products in the auto industry. CHICAGO, Illinois – The 2016 Chicago Auto Show Media Preview will open on Thursday, Feb. 11 with a keynote from Mark LaNeve, vice president, U.S. marketing, sales and service Ford Motor Co. during the Midwest Automotive Media Association (MAMA) breakfast from 8-9 a.m.
During the opening portion of the breakfast, MAMA President Patrick Olsen will present the MAMA Family Vehicle of the Year award and introduce Mark LaNeve. LaNeve is responsible for all marketing, sales, service, customer care and dealer relations for the Ford and Lincoln brands. His focus is on continuing to build the Ford brand through innovative new digital communications and transforming the retail experience for customers. LaNeve came to Ford after several years leading the company’s marketing and advertising agency, Global Team Ford, where he was chief operating officer since August 2012. In this role, LaNeve led not only Team Detroit, which services the Ford brand in the U.S., but also the agency’s operations in London, Sao Paulo and Shanghai, as well as Hudson Rouge, the Lincoln agency in New York City. Doors open for the MAMA breakfast at 7 a.m. on Feb. 11. Valid media or exhibitor credentials are required for admission.